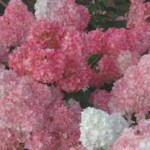 New from Bailey Nurseries in St. Paul, Minnesota is a hydrangea that is a triple-dipped treat for your garden. It changes through three colors as it blooms. This hydrangea paniculata’s enormous blooms start out a creamy vanilla-white, changing to a soft pink and finally to a ripe strawberry-red. The unique red color lasts for three to four weeks, longer than most hydrangea paniculatas. New blooms keep the multicolored show going throughout the summer and early fall. The extra large blooms are held on strong, red stems that cascade later in the season. It’s upright habit and large cone-shaped flowers make it a dramatic addition to the garden. It is especially showy planted in groups in a border. 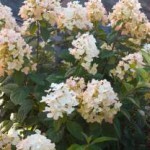 New for Spring 2010,gardeners looking for a more compact hydrangea paniculata will be thrilled with First Editions Tickled Pink. The full, frilly blooms of this playful hydrangea will reach a height of just 4 to 5-feet, and its unique blooms and strong stems make it a standout in any garden space. Tickled Pink’s cone-shaped blossoms start out a soft white then gradually turn a rosy pink. The extraordinary blooms are loaded with petals that curve, giving Tickled Pink a lacy, flirty look. Bred by Dr. Michael Dirr at the University of Georgia, Tickled Pink stays more upright and compact than its parent ‘Pink Diamond.’ Its smaller size means just about any garden can make room for Tickled Pink. It’s perfect as a stand-alone plant, as a flower garden backdrop or paired together in a border. The unique blooms also add a delightful look to fresh or dried flower arrangements. Making a splash for just over a year, Hydrangea macrophylla ‘Blushing Bride’ has beautiful white blooms that mature to a light pink blush color. 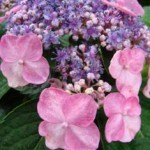 The name of this spectacular Hydrangea macrophylla says it all! Endless Summer Blushing Bride blooms with radiant pure white, semi-double florets that gradually mature to a sweet pink blush. 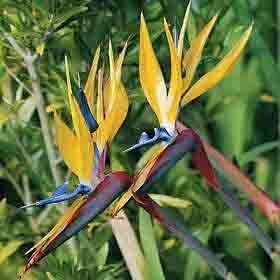 This plant evokes ooohs and aahs in any garden setting. Blushing Bride’s strong stems and branches keep the plant sturdy and upright in the garden, making it a perfect flower for cutting. Its attractive dark green foliage provides a striking background for the plant’s large mophead blooms. This member of the Endless Summer Collection reliably blooms on both old and new growth, producing more blooms all season long. Blushing Bride’s full yet compact habit makes it an ideal plant for decorative containers, elegant as a stand-alone shrub or combined with other garden plants. It is the perfect accent plant for garden weddings. 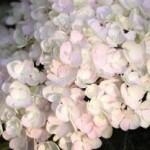 Dr. Michael Dirr at the University of Georgia bred Endless Summer Blushing Bride in 2001, and he calls this Hydrangea macrophylla his most significant introduction to date. 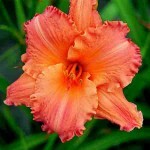 “Blushing Bride has the same reblooming qualities as its parent, Endless Summer The Original, only faster,” says Dirr. Like Endless Summer The Original, Blushing Bride blooms on both old and new growth. 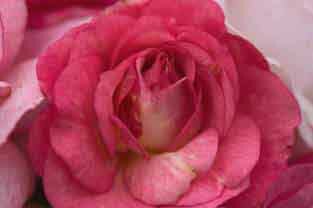 With Blushing Bride you’ll have more blooms, more quickly, all season long. Look for Endless Summer Blushing Bride and its sister plants, Endless Summer The Original and the new Endless Summer Twist-n-Shout in their distinctive blue pots. 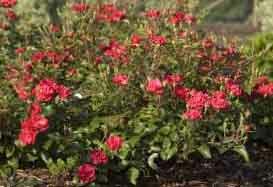 • For the next year this plant is being rated as USDA Zone 5 hardy, test in Zone 4. 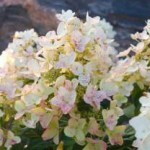 Be sure to check out the latest addition, new for 2009 to the Endless Summer Collection – Endless Summer Twist-n-Shout Hydrangea. This reblooming lacecap hydrangea is topped with gorgeous blossoms that make a dramatic impact in the garden. Bloom color will vary depending on your soil type. 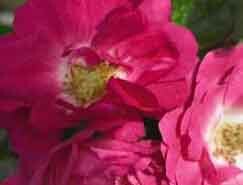 Alkaline soils, (pH 6-7) will produce party-pleasing, lipstick pink blooms. More acidic soil, (pH 5-5.8) will turn fertile (smaller) blossoms an intriguing periwinkle hue, while sterile blossoms (larger) keep their rich pink color. Twist-n-Shout’s glossy green leaves and strong, red stems add to the drama. Fall leaf color is a stunning red-burgundy, making Twist-n-Shout a season-long star. For more information about the Endless Summer Hydrangeas visit www.endlesssummerblooms.com or any of the Bailey Nurseries plants visit www.baileynurseries.com. 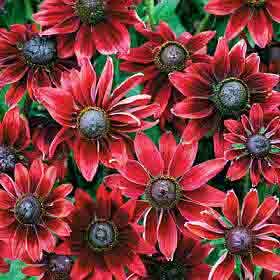 Following on the 2002 introduction of Rudbeckia ‘Cherokee Sunset’, Thompson & Morgan flower breeders worked hard to develop the first-ever red Rudbeckia from seed – Rudbeckia Cherry Brandy! These robust plants have outstanding garden performance, producing a mass of attractive, cherry-colored blooms all summer long – triumphing over heat, drought and poor soils! Stunning when planted in drifts in borders or can be planted in large containers to create a feature plant on a patio or terrace. 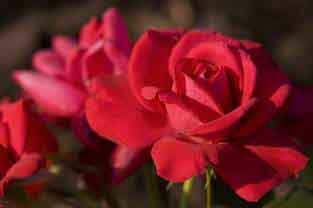 Flowers average 3-4 inches in width, 24 inches in height. Hardy? maybe? Thompson & Morgan says that this plant is a half hardy annual. Winner of the Fleuroselect Novelty Award in 2007. Sow seed on the surface of good, free-draining, seed starting soil. Start seeds about four months before the last average frost date. Cover with a very fine sprinkling of sifted peat moss or vermiculite. Seal the container inside a clear plastic bag and keep at a temperature of 20-25C (68-77F) until after germination which usually takes 7-21 days. Do not exclude light, as this helps germination. Transplant seedlings when large they are enough to handle into trays or 7.5cm (3in) pots. Gradually acclimatise plants to cooler conditions for a few weeks before planting them out after all risk of frost has gone. Plant them 30cm (12in) apart. 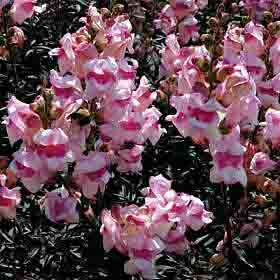 'Bronze Dragon' Snapdragon in full bloom. Sow seeds on the surface of a good, free-draining, damp seed starting mix. Do not cover the seed. Place container inside a sealed plastic bag and keep at 20-25C (68-77F) until after germination which usually takes 10-21 days. Do not exclude light, as this helps germination. Sow 10 weeks before the last average spring frost. Transplant seedlings when large enough to handle into 7.5cm (3in) pots. Gradually acclimatise plants to cooler conditions for a few weeks before planting out after all risk of frost. Plant them 23-30cm (9-12in) apart. A rarely-offered, golden-yellow bird of paradise! After 20 years of hand pollination and selection by the Kirstenbosch Botanical Gardens, a small quantity of seed became available in 1994. Since then Thompson & Morgan has tried to introduce this variety into its catalogue. Patience usually pays off and finally we can offer more gardeners the chance of growing and seeing these flamboyant golden-yellow and purple blooms. Height to 6 ft. Width to 6 ft. Hardy to zone 10. Soak seed in warm water for 36 hours before sowing and carefully remove the orange fluff from the one side of the seed as this can inhibit germination. Sow the seeds into pots or trays of moist seed starting soil and cover with a ¼ in layer of sifted peat moss or vermiculite. Place seed containers in a warm place, and keep between 65-85 deg. F. Sow the seeds so that they are just on the surface – light helps germination. Keep the surface of the soil moist but not waterlogged. Germination can take 1-6 months. When large enough to handle, transplant the seedlings into 3 in pots or trays. Challenging to germinate but easy to grow. Plants can be moved outside during the summer, but will need winter protection in a greenhouse or indoor by a large sunny window. Feed monthly with balanced liquid fertilizer during spring and summer, water sparingly during winter. Microgreens are eaten as young seedlings, prior to the first true leaves when they are full of an intense range of flavors. They are quick and easy to grow indoors all year round and are ready to eat in only 6-15 days. Purple radish seedlings ideal for sandwiches, soups or salads. Living Greens can be grown in a similar way to mustard and cress. After many months of trialling, Thompson & Morgan recommends filling trays with vermiculite, then sprinkling the seeds liberally, but not too thickly on the surface. Seed compost and garden soil are not recommended due to possible pest/disease contamination. Place the trays on a warm windowsill or in the greenhouse. Ensure the seeds are constantly moist and as the seedlings emerge, especially during summer, mist spray or water carefully as necessary. Just like sprouting seeds and salad leaves, they are rich in healthy nutrients, ideal for spicing up sandwiches and salads or garnish soups. Seedlings will mature quicker in the warmer, longer days. New for 2009 Thompson & Morgan is offering Amaranth ‘Red Army’, Broccoli, Purple Radish, Arugula ‘Victoria’, Red Mustard and Greek Cress seeds in their microgreens collection. All images are from Thompson & Morgan. For more details about Thompson & Morgan seeds visit the www.thompson-morgan.com website and click the appropriate international site at the bottom. Welcome to a tour of the 2010 Easy Elegance® Rose garden. The following varieties are currently available at better garden centers across the country. 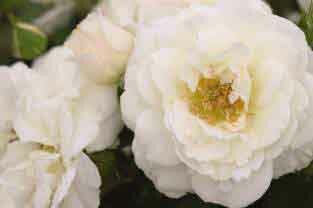 Be sure to notice Como Park and Coral Cove, two new varieties joining the collection in the spring of 2010. All the Rage features a color change performance that is Oscar® worthy. 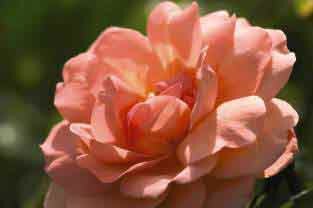 Tight coral buds burst into apricot-colored blooms with luminous yellow centers. 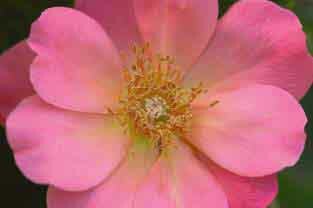 As the flowers mature, they take on a lipstick-pink hue, then drop cleanly away. Own root. 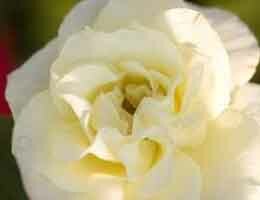 Clusters of high-centered blossoms are held on long, straight stems on this dynamic rose. 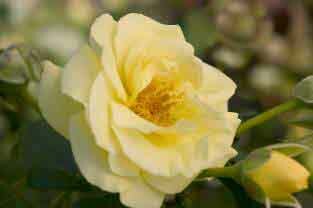 The exhibition-style blooms are apricot to soft yellow, fading gradually to creamy white, a vivid contrast to the bronze-tinged foliage. Its reblooming qualities make Centennial a valuable addition to the mixed border. Resistant to blackspot and mildew. Crown hardy in zone 4 with winter protection. Own root. Since it’s so easy to grow, Como Park is ideal for beginning gardeners. This beautiful, bright shrub rose with striking and plentiful medium-red blossoms was named after an historic park in St. Paul, MN. It’s compact and round shape is covered top to bottom with beautiful large, double blossoms. The dark-green, disease free foliage features unique touches of red. Hardy and gorgeous, Como Park is a perfect accent for any garden. Own root. Resembling a hybrid tea with large, full, dusty-pink blossoms, this beauty is so sweet it is named after Margaret ‘Grandma’ Bailey. Grandma’s Blessing has a symmetrical, vase-shaped form and dark-green, disease-resistant foliage. Stunning color combines beautifully with many perennials and also makes an elegant low hedge. Own root. 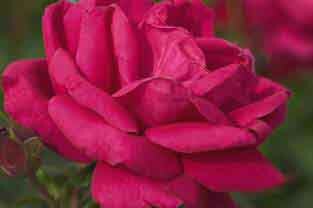 Let mischief reign in your garden with this compact everblooming rose. New blooms of deep pink with a white eye contrast nicely with the lighter pink aging blooms. With its glossy green foliage, low-growing habit and disease-resistant foliage, this rose is a wonderful companion plant in a border planting, hedge plant or star performer in a decorative container. Own root. 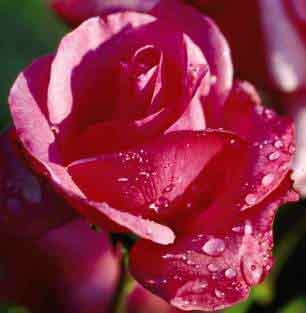 This delightful rose was selected by Macy’s Department Store for their centennial. 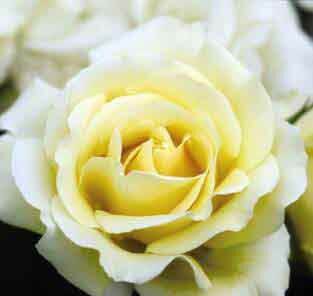 Lemon-yellow buds open fully to creamy-white and age gracefully with a hint of pink. Disease-resistant foliage is red-rimmed when immature and ages to a beautiful semi-glossy, medium green. New England Rose Society Award Winner in 2002. Own root. Neat, round, compact shrub covers itself with clusters of old-fashioned, lemon-yellow blossoms. Interestingly, the outer petals are slightly lighter in color. 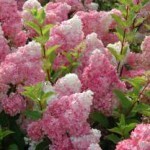 Blooms mature to butter-cream, extending the pallet of colors. Excellent flower effect. Will add a splash of color in the front of the border, as a groundcover and also as a low hedge. 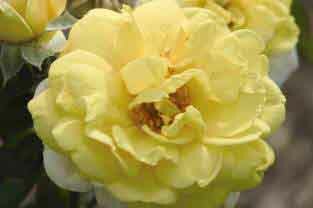 You don’t have to be in the land Oz to find excellent blackspot resistance, so unique among yellow roses. Own root. Gardenimport trialed this lovely Jonquil hybrid this spring and were not only delighted by its fragrance but also by its abundant and long lasting bloom. 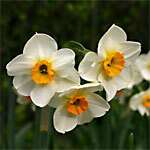 Division 7: Jonquil Narcissus.Abundant clusters of wonderfully fragrant white petaled flowers with small orange cups. 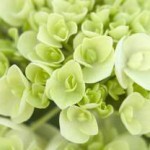 Long lasting and superb for bouquets. Blooms late mid spring. Ht. 30-40cm (12-16”). Whether you call them Narcissi, or Daffodils if you prefer, they’re just about the best thing that ever happened to northern gardens. They produce blooms the very first season, go on doing it for years, and the clump gets bigger as the seasons roll by. Daffodils are generally not only disease-resistant but pest-resistant as well, and that includes squirrels! Hardy to zone 4. Dugald Cameron says that he saw this a few years ago and finally managed to get some. The deep magenta pink flowers have dark purple stems. 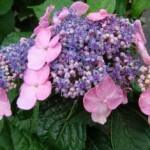 It will look amazing in your garden as will any of our over 80 varieties. Plant your own music garden. Striking magenta-pink flowers play harmony with purple-black stems. We saw it in Holland 2 years ago and have been looking for it ever since. Ht. 50cm (20″). 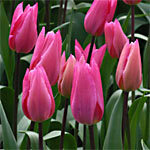 Tulips love a sandy, well drained soil in a sunny spot that gets a good summer baking. 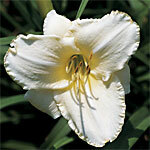 Daylily WHITE TIE AFFAIR (blooms midseason) Add a little class to your Daylily collection with this 15cm (6″) yellow-throated, lightly-ruffled white. Ht. 66cm (22″). You’d almost think these plants were created to make you feel really good about the world in general and your garden in particular. Hemerocallis are easy to grow and very hardy, they have no known enemies, they come in a range of colours and sizes that will fit any garden scheme, and they deliver more and bigger blooms every year. They’re known as Daylilies because each individual flower is succeeded by yet another each and every day for weeks on end in early summer. Now, doesn’t that make you feel better already? Blooms early midseason A delightful blend of tea and mango in huge 16.5cm (6.5″) golden-throated, ruffled flowers with a light mango mid-rib. Ht. 66cm (26″). A super-ruffled old gold with a green throat and pink highlights. 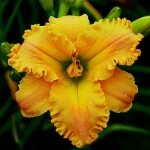 Blooms are 14cm (5.5″) wide on 79cm (31″) well-branched plants. Peony CORA STUBBS This award winning variety is blooming in my garden now and has won rave reviews from everyone who has seen her. 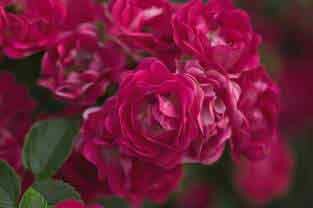 Strongly and deliciously fragrant with large blooms on sturdy stems. 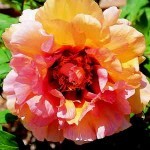 CORA STUBBS joins Gardenimport’s terrific selection of over 15 varieties. 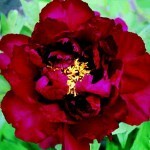 A chemistry Professor at Hamilton College, Clinton, New York during the early part of the 20th century, Professor Saunders is today considered the “Father” of the modern hybrid peony. He carried out extensive, scientifically based breeding programs with both herbaceous and tree peonies with the assistance of friends at the New York Botanical Garden. 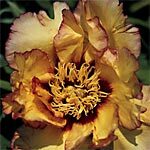 His tree peony work centered on the intercrossing of two species, the yellow flowered P. lutea and the orange-red P. delavayi with existing classical Japanese Moutan varieties. The resultant progeny produced a range of flower colors from lemon and golden yellow to ivory and pearl shades frequently blended and suffused with purple and pink, plus a few strawberry-red cultivars. In all cases, the flowers are displayed above attractive cut-leaf foliage. Eventually his daughter, Silvia took over her father’s nursery, and after several decades Professor Saunder’s hybrids are still in great demand by gardeners worldwide. 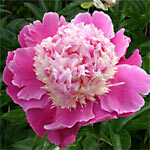 Tree Peonies are grafted to herbaceous peony rootstock. Gardenimport ships mature, bare root, grafted plants stating in October. 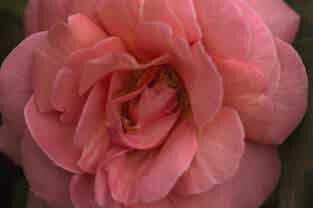 (Saunders) A fragrant peach semi-double with deep rose-red flares, veins and edging. The beautifully formed flowers are aptly named for Ariadne’s charms brought about the downfall of the Minotaur. 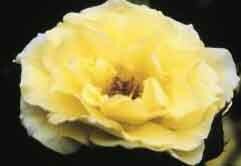 (Saunders) Golden blooms are eged and suffused with red and rose. Red rose central flares and golden stamens. The erect flowers are held well above the foliage. Deep burgundy wine flowers with golden centres. A vigorous variety. For more details visit the www.gardenimport.com website.